We were delighted to have Carol Morley from Entheos Consulting facilitate the Geelong HR Roundtable. The session was a higher order discussion that covered transformation and debunked some of today’s buzzwords in HR including Operating Models (whether it refers to all things an organisation does from people, management, systems or if it’s the process of moving something from A to B), Organisational Design (what will the organisation look like), Restructure (referring to boxology in HR world and the movement thereof) and Transformation. While attendees weighed in on their definitions, Carol mentioned it doesn’t really matter. What matters is how it is defined in your organisational context and that all staff know the definition of such words. The Roundtable participants provided examples of challenges of change which brought with it complex topics and Carol was able to use her 5Ps process to cover off many issues organisations face in either embarking on, working through change or making transformation stick. Carol covered off the two higher order Ps. The first is the purpose and that an organisation needs to be clear on why it is changing and in the purpose a forward vision of what the organisation will look like post transformation. She emphasised the importance in outlining a purpose that is no more than two lines and that it engages the hearts and minds of staff members. An example from the forum, and not unusual to many organisations today was “In order to free you up to do higher value work, we are automating repetitive processes within our organisation”. The key at the purpose setting stage is to have measures that address, where an organisation has been and where it wants to be in order to reflect back post transformation. Staff metrics could include turnover rates, absenteeism, capability levels, performance metrics. These are the guiding principles that sit behind the purpose and how the team will work together to make it happen, who makes the decisions and who is involved in the decision making process. Carol talked of the stakeholder matrix where a staff member’s impact is mapped on an x-axis and staff member’s influence on the y-axis. Here someone who is a high impact and high influencer in the organsiation would be a high-touch in the transformation process. Whereas someone lower down on the stakholder map may need to be purely informed of the decisions being made. Technology (eg/ will will be the disruptors in our industry and put the highest level of investment in technology to achieve this purpose). As part of mapping the guiding principles this is when the stakeholders come together to map the priorities of the principles as this is powerful in decision making based on staff and management’s requests along the way. Carol referred to the trade off pyramid with three factors – cost, time and quality. For example “we can do things cheaper and faster but quality will be sacrificed”. The purpose combined with the principles guide the direction and decision making that goes into transformation. This is the design, trial, delivery/implementation along the way and the checks that are used to see if the changes are landing. They can be high level around organisational capability or detailed such as functionality, how we work together, where the most value lies, clarity on roles and responsibilities. Carol touched on process versus human centred formats where if we are being human centred the focus is on each person in the organisation, what they touch, who they interact with, what they do and do they enjoy it and the language is centred around this and what that individual looks like post change. How are we going to get there. While it sounds simple, it is complex. An organisation needs to also look at what are the potential derailers and plan for such circumstances and situations. 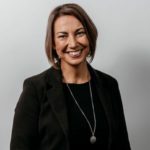 As an example, Carol mentioned that if an organisation has a priority on people that this needs to carry through all facets of planning and guide plans and action so that the staff experience is as it should be. Here an organisation addresses if it the transformation sticks and determine if, what was set out to be achieved actually occurred. Carol reinforced the power of data here, the before the after which will tell us if we got what we wanted. She concluded that the success of change is not if the problem was solved but if the change was able to fix the problem or if that same problem continues to arise. This usually points back to identification of purpose and looking at potentially other ways that the purpose can be achieved or the problem resolved. 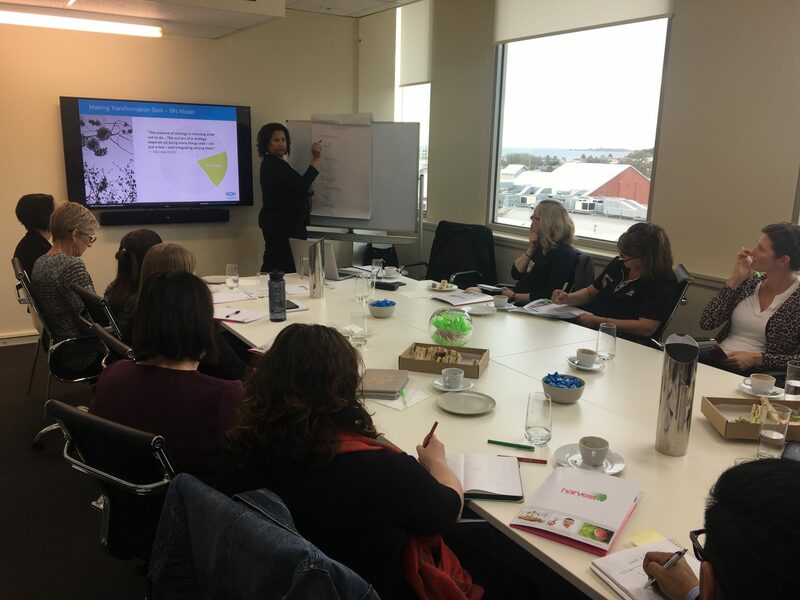 Harvest is highly appreciative of Carol’s time and input into today’s session and, should you have organisational change or transformation challenges we would highly recommend Carol and the team at Entheos Consulting. This reflection was written by Harvest Director, Maree Herath. Contact Harvest HQ on 1300 363 128 for all your recruitment, HR solutions and careers needs.